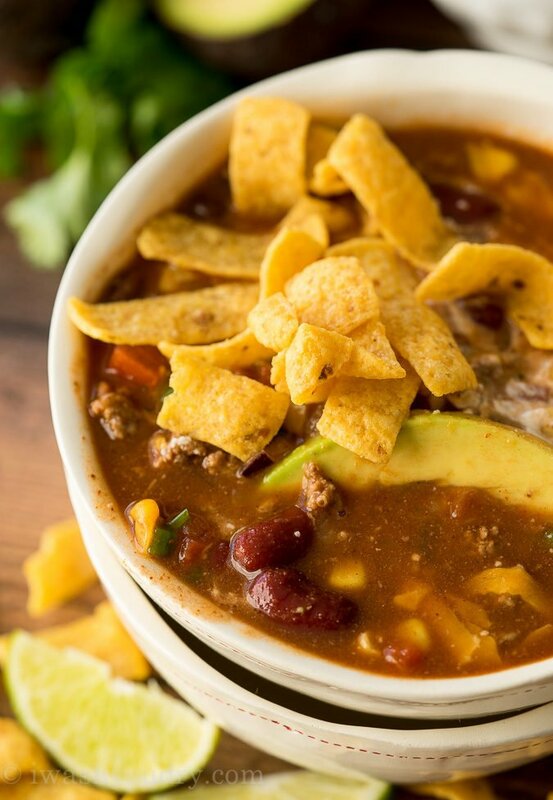 Quick and Easy Taco Soup Recipe is filled with ground beef, beans, corn and taco seasoning. 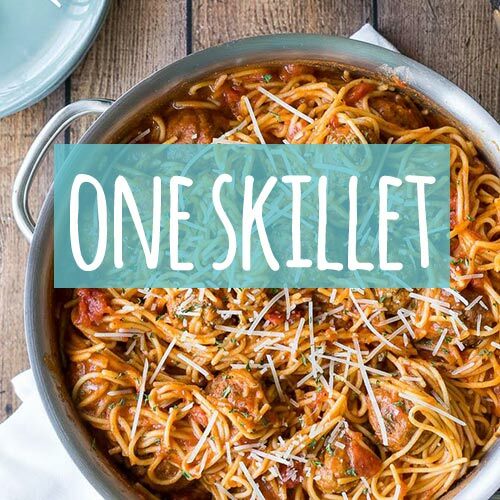 It’s a quick dinner that uses lots of pantry staples! One of the main reasons I love this recipe so much is that it uses canned beans, corn, tomatoes and tomato sauce. I always keep a hefty stock of canned beans and tomatoes in my pantry, so it’s an easy dinner to whip up. Simply brown some ground beef with a little onion, drain and add some taco seasoning and all the canned goods! Let the mixture simmer for a few minutes and VOILA! You’re done! 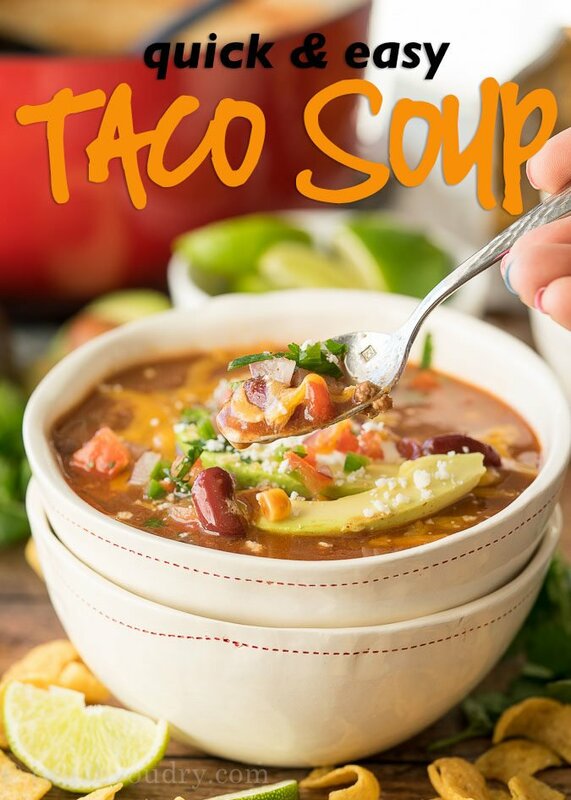 I think my absolute favorite thing about this soup is that it’s so easy to make AND you get to top it with all your favorite taco toppings! 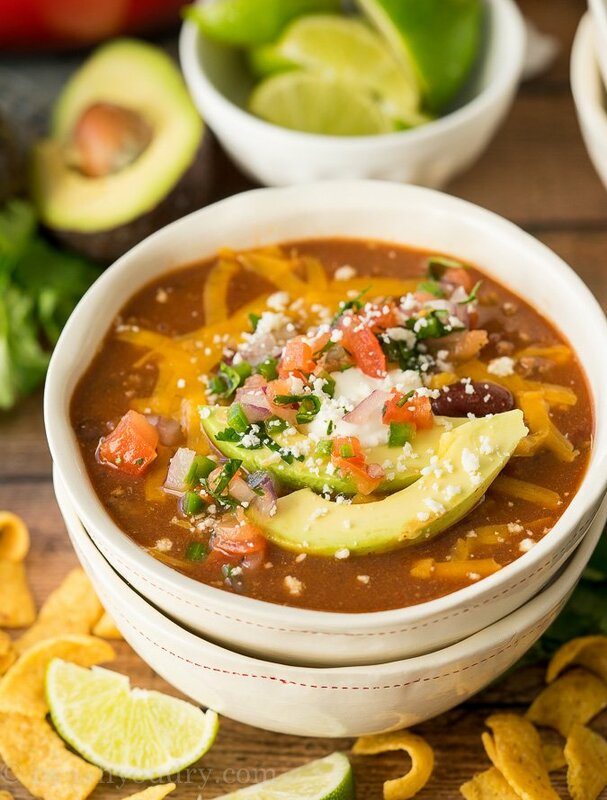 We love adding shredded cheese (that’s a must), sour cream (it’s so good when you stir it in the soup), pico de gallo (diced tomatoes work just as well) and sliced avocado! Don’t forget the lime wedges and corn chips too! We also use the leftovers to top salads, make tacos or burritos, and it’s also good with an egg on top for a hefty brunch. My whole family adores this soup. In fact, I served this the day after Christmas and there was not one drop left! 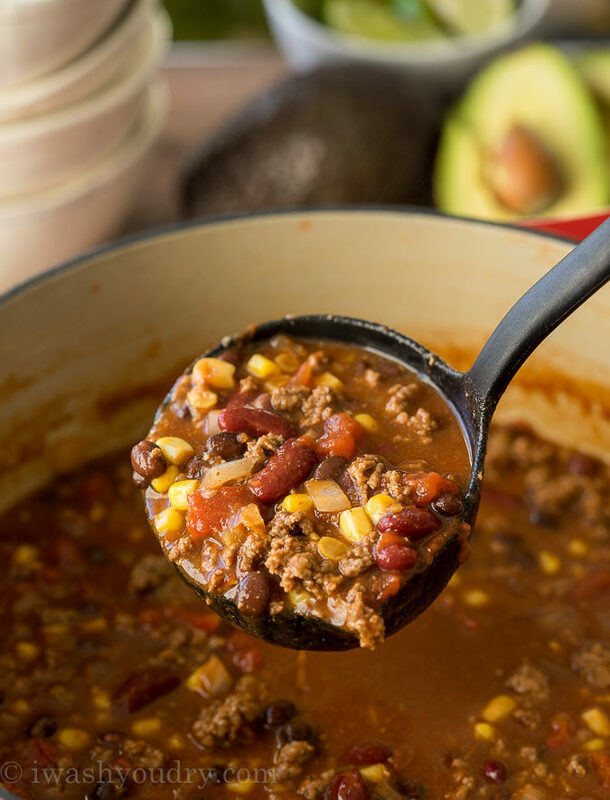 You can’t beat a meal that comes together super quick and tastes amazing… PLUS it uses pantry staples! It’s a win-win. Now I get to pass this recipe on to you. Print it out and share it with a friend, just like my friend did with me, so many years ago! Brown the ground beef and onion in a large pot, until cooked through and crumbled. Drain any excess fat. Add the remaining ingredients to the pot and stir to combine. Cook over medium heat, letting simmer for about 10 minutes to let flavors blend. Serve with optional taco toppings. Enjoy! 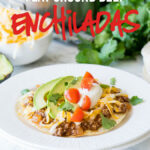 *You can substitute ground beef with ground turkey or chicken if desired. Do not drain the canned items, just pour them all in. 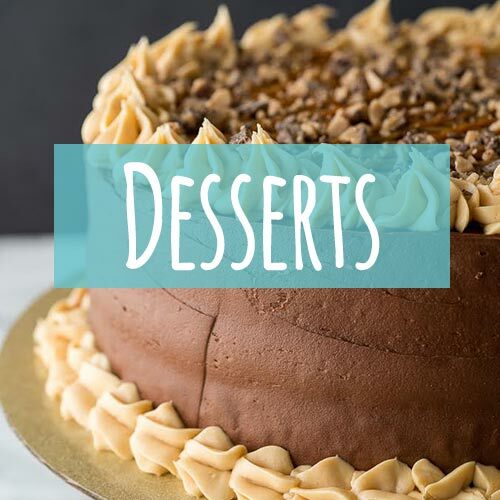 DON’T FORGET TO PIN THE RECIPE TO SAVE IT! I’ve been making Taco Soup for several years and there’s not a drop left! The only thing I do different is add 1 can of original Rotel, 1 packet of ranch dressing mix and thoroughly rinse off the beans and corn. If it’s too think I’ll add a little beef or chicken broth to thin it down. 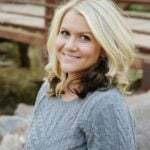 I try to let it cook in the crockpot but once everything is mixed together really well everyone is standing in line with their soup mugs and spoons! However, I’ve not thought about having sliced avocados!!! I can’t wait to try it the next time I make it! I’m happy to hear you enjoyed it! Once the beef is browned, that’s all the initial cooking you need to do. Simmering all the ingredients together will bring out all the flavors! There should be about 2 tbsp in the packet of taco seasoning. 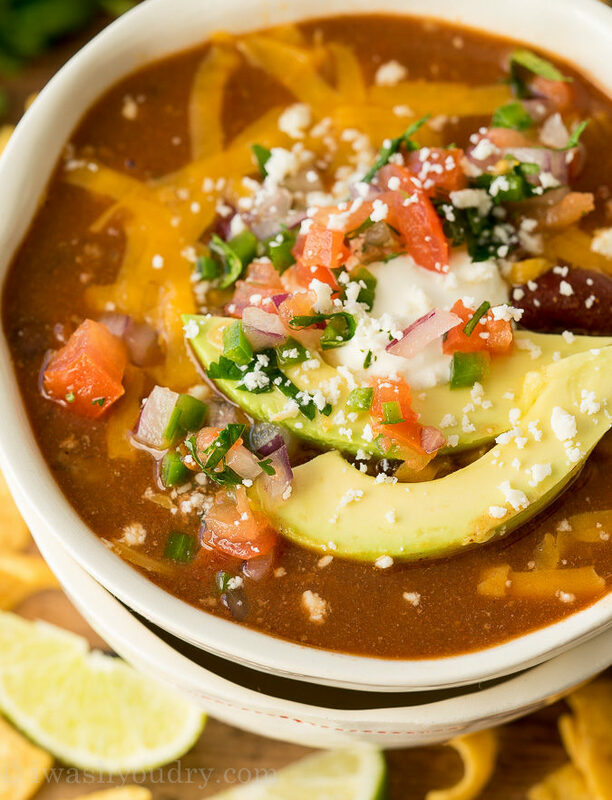 You can definitely use pinto beans or any type of beans you would enjoy! I’ve made this before and it was amazing. I need to make it again but for a whole bunch of people. How much does the original recipe make? I need 6 qts at least. This would definitely work in the crock pot too. We do this all the time! I halfed the recipe and added a crushed up corn taco shell while it was simmering. Delicious! Do you have Nutritional Info for this recipe? Delicious and easy meal for a potluck. And it was a hit!! I added a can of hominy, 2 sliced jalapeños, minced garlic, and a can of green chilies. I served with sliced avocado, pico de gallo, Mexican crema, Cotija cheese, lime, and tortilla chips. So glad you guys enjoyed it! 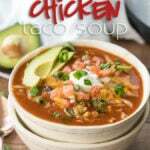 In taco soup recipe, why not drain the canned veggies? You can if you want to, just add an extra cup of liquid to the soup so it isn’t too thick. Can I sub great northern beans in place of the kidney beans? Right now it sounds gross, but it’s what I have on hand. You can definitely sub out any beans for what you have on hand!